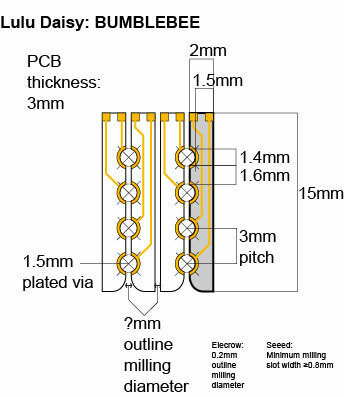 i want to design a tiny 3mm thick PCB and since it is super expensive (170$ for 10pcs) to order 3mm thick PCBs, i'm wanted to ask advice on what people with experience think of this design and what issues i might run into. the board is super simple - basically a breakout for a mini Neopixel (SK6812MINI) where the LED is mounted at one end and the grooves are the 4 Pins (+,-,Din, Dout). 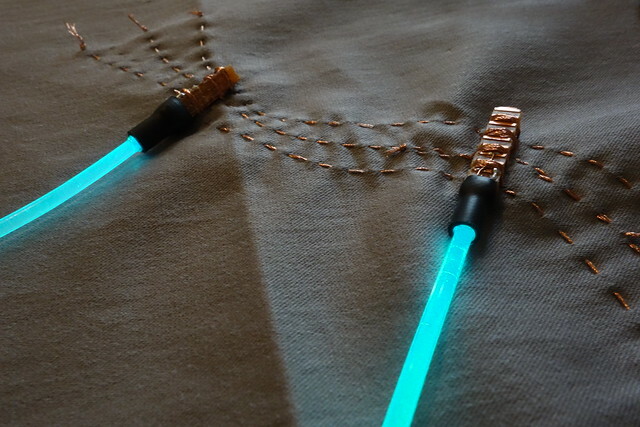 shrink-tube is used to couple a 2mm diameter sideglow optic fiber in front of the LED. 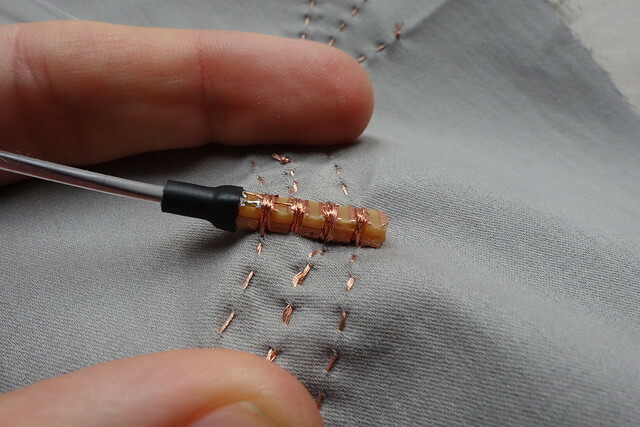 and conductive thread is used to sew the contacts to the plated half-via groves. 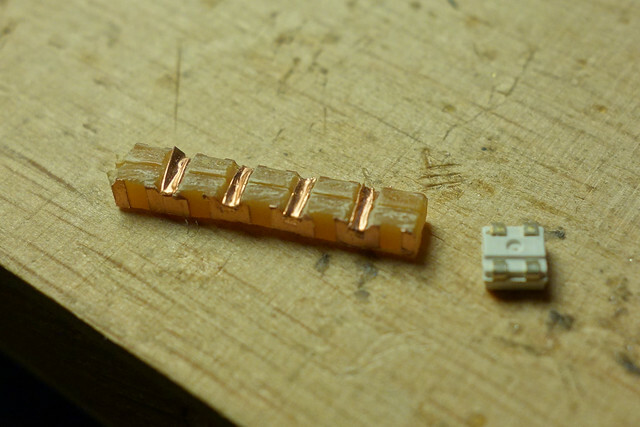 - what could be issues with milling such small boards? 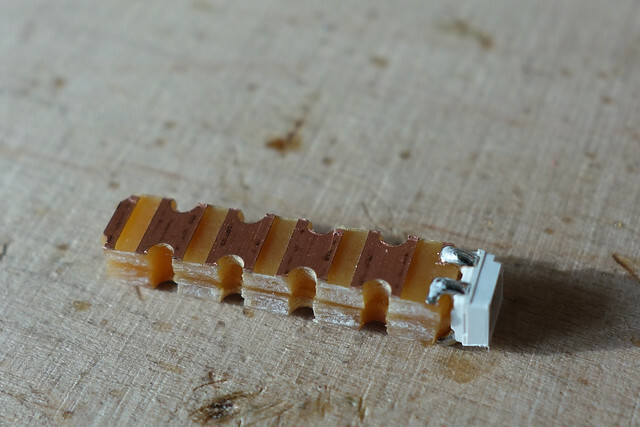 - if the narrowest part of the 3mm thick board is 1.5mm wide, does this become a weak point or is the FR4 strong enough, especially since it will be a plated via at that point? - in order to minimize waste, could it be possible to layout the boards as illustrated above so that two boards share the same plated via? - any tips on PCB manufacturing services that do 3mm thick PCBs in small quantities? seeed studio costs 170$ for 10pcs. Why not order standard thickness PCB and put them back to back? 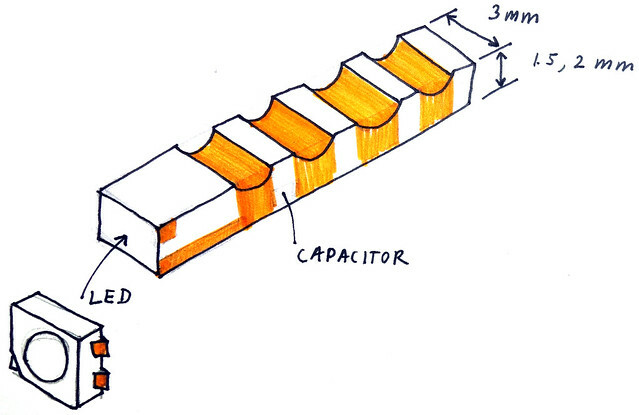 Actually, thinking more about it, I'd use a more "normal" PCB size with a right-angle light pipe to attach the fiber. I assume that standard fiber optic connectors would be too bulky?